The Seattle City Council has a big decision to make: move forward with the streetcar expansion and find another $65 million in funding or scrap the project altogether and lose out on what's already been built. 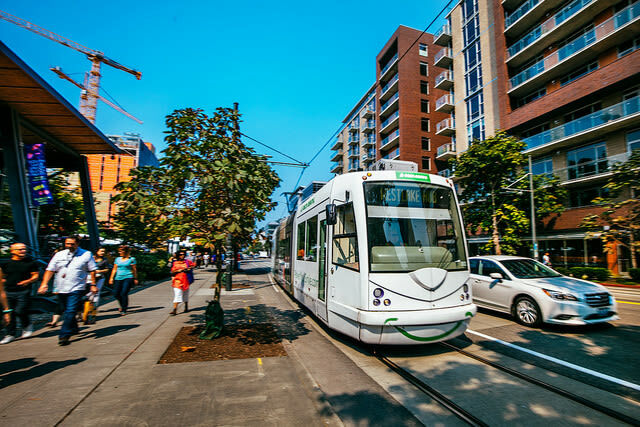 Mayor Jenny Durkan last month approved the streetcar expansion on First Avenue—which would connect the two ends of the streetcar line at South Lake Union and First Hill—shifting the difficult decision now onto council members, who will need to vote on the project. Council member Lisa Herbold has opposed the streetcar since its start. As council members worry about the increased $285.8 million price tag (double its estimated cost in 2015), $65.3 million in shortfall, and decrease in ridership, it's likely Herbold's best chance to kill what she considers an "economic development tool" catered to downtown businesses rather than transit infrastructure. She's now pushing to use that funding instead for the Sound Transit Link light rail projects, a shortfall of up to $1.6 billion that now needs third-party funding for its expansion into West Seattle, Ballard, and Chinatown–International District. Herbold is running for re-election and represents West Seattle (District 1). Council member Rob Johnson defended the streetcar, adding that ridership in general in South Lake Union increased as the city built more infrastructure. But the idea of scrapping the streetcar in exchange for an alternative transit project that needs funding will likely continue to be a serious consideration during discussions around the project's costs. "I think of $60 million worth of public transit and what else that could buy," council member Sally Bagshaw said on Tuesday. "I voted for the streetcar multiple times up until now, and I’m really concerned about what I’m perceiving as a huge overrun in these construction costs as well as an unfunded gap."